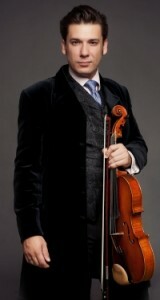 Violist Aurélien Pétillot has garnered much esteem as a versatile and engaging performer and pedagogue. He has been invited as a guest artist and soloist by many ensembles and orchestras, in Europe and North America, both on Baroque and modern violas. A passionate chamber musician, and an ardent advocate of music by living composers, he is a founding member of the Chiaroscuro Trio, whose debut CD of world premiere recordings of contemporary American works for voice, viola, and piano was released by Albany Records in the summer of 2013. In a review of the CD, Fanfare Magazine commended his “rich, beautiful tone that would be the envy of many a chamber or solo violist today.” He has played with the Cavani String Quartet, members of the Azmari, Mirò, and Tosca String Quartets, and toured with The Young Eight, the only professional String Octet in America. He is also the founder and artistic director of Viola By Choice, a non-profit chamber ensemble dedicated to promoting the originality, versatility and importance of the viola and its repertoire. Viola By Choice received the 2009 Austin Table Critics Award for “Best body of work”, and was praised for “offering smart and alluring programs that feed the brain and the soul – and do so with polished, enthusiastic musicianship.” Viola by Choice released its CD, Florilegium in 2010. Aurélien Pétillot holds a Bachelor’s in musicology and performance from the Paris-Sorbonne University, a Master’s from the Mannes College of Music, in New York, and a Doctor of Musical Arts degree from the University of Texas at Austin. His principal teachers, Jean-Claude Bouveresse, Alexander Brussilovsky, Pierre-Henri Xuereb, Caroline Levine, and Roger Myers, are heirs of an impressive lineage of pedagogues and performers that traces all the way back to Vivaldi and Corelli. This entry was posted in 2014 Classical May Series, Biography, Concert Series by Camerata Chicago. Bookmark the permalink.